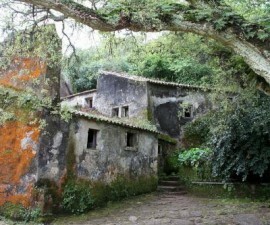 Sintra in Portugal is a must-visit destination for any discerning, full of elegant palaces and castles in a variety of architectural styles spanning over 1000 years. Of these, the Queluz National Palace, or Palacio Nacional de Queluz as it is known in Portugal, is perhaps one of the most spectacular. 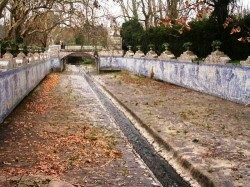 The Queluz National Palace is located in the district of Sintra and dates back to the eighteenth century. 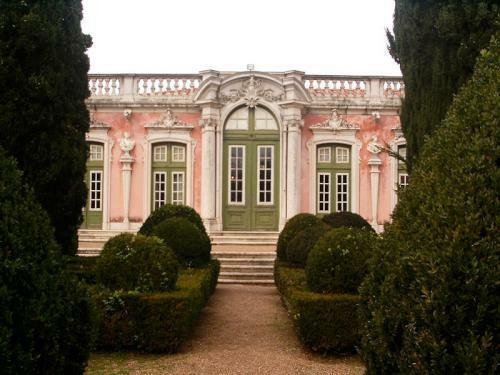 One of Europe’s last major examples of Rococo architecture, it was built as a summer retreat for Dom Pedro, the famous Duke of Bragança who later married his niece, Queen Maria I, catapulting him yet further into the public eye as King Consort. 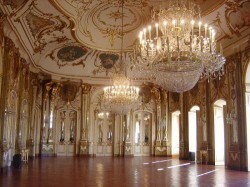 The Palacio Nacional de Queluz was constructed in several phases over the course of decades. Work began initially in 1747, spearheaded by the Portuguese architect Mateus Vicente de Oliveira who designed it in homage to the famous palace of Versailles outside Paris in France. Although it is smaller, it certainly shares much of Versaille’s sense of grandeur, ornate decoration and exquisite landscaped gardens. 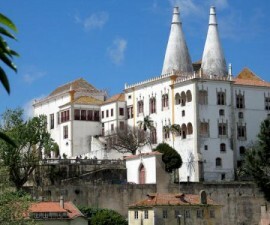 Following the death of Dom Pedro in 1786 this Sintra palace became a place of retreat for Queen Maria I as her mental health deteriorated. 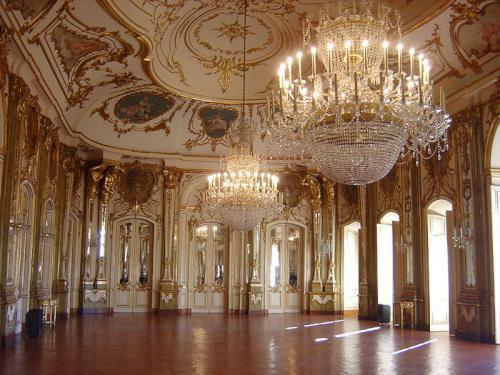 When the Ajuda Palace was destroyed by fire in 1794 it was to the Queluz National Palace that the prince regent, Joao VI, removed his family and where they remained until fleeing to Brazil following the invasion of Portugal by France in 1807. 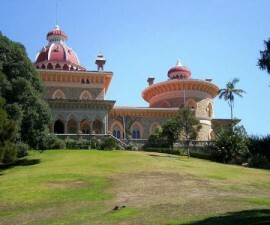 In 1908, shortly before the formation of the Republic and deposition of the monarchy in 1910, the palace passed to become the property of the state and, after more drama in the form of a devastation fire in 1934 and subsequent restoration, was finally opened to the public as one of the country’s primary touristic attractions. 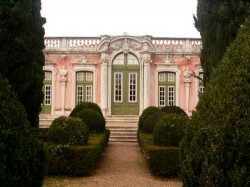 The ceremonial façade is the best-known exterior section of the palace, followed by the Robillon Pavilion. The main exterior looks onto the central town square and, whilst it is highly attractive, it is positively austere in comparison to the rich interior, draped in ornate baroque decorate features. Great attention to detail was paid to the interior, with French artisans shipped in to perfect the intricate decoration. Beautiful hand-made azulejos, or Portuguese tiles, are used in abundance in the interior, in lovely rich tones of blue, yellow and red along with Italian stone and Brazilian, Danish and Swedish woods and other materials which were shipped to Sintra from all over the world especially for the purpose. The beautiful state apartments must be seen to be appreciated fully. Take your time to wander through the Sala das Mangas, the only apartment to survive the devastating fire completely intact, before moving on to the great halls. Begin at the Hall of Ambassadors with its stunning chequer-board floor, followed by the Music Room with its beautiful gilding and frescoed ceiling and the oval-shaped Ball Room with its coffered ceiling and many baroque decorative features. Away from the state apartments, don’t miss the Queen’s boudoir and King’s bedroom along with the exquisite chapel to really experience all that the Palacio Nacional de Queluz has to offer.